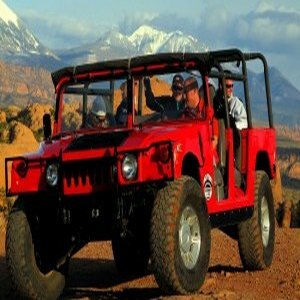 The first choice for off-road adventure and family fun in Moab. 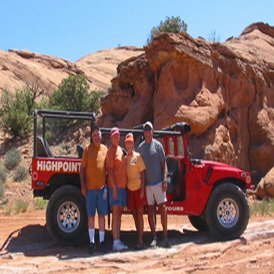 We pride ourselves in making the most of your Moab adventure vacation. We’ll show you the way! 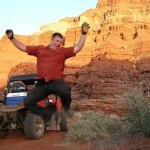 our #1 rated RZR/UTV tour or our #1 Moab Hummer® tour. 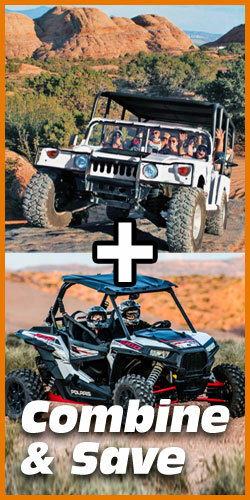 Rent your own RZR, UTV, or Side by Side. 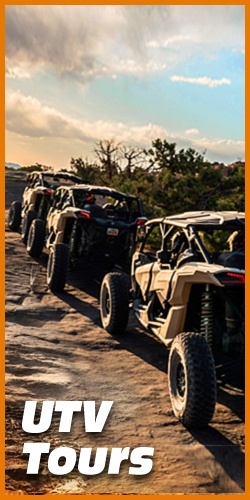 See our full selection of rental UTVs, RZRs and Side-by-sides on our UTV Rentals page. Book Now or Contact Us with questions or for more information about tours and rentals. Find us on Facebook for the latest updates. "It was by far the best ATV tour we have taken. 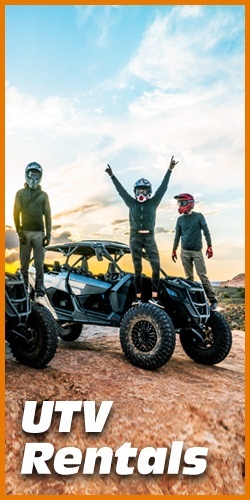 We wished later that we had planned for more time and will definitely book a longer tour with him on our next trip to Moab." "We would just like to say we had the BEST 2 hour trip with Kent on Thursday. It was all we expected and more." "Your half-day tour was all that you promised it would be. 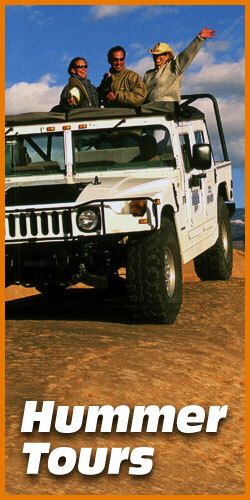 The video we took from the Hummer reminds us that you truly were the Highpoint of our family vacation."